Let’s get right into my favorites from this week and let me know some of yours in the comments! 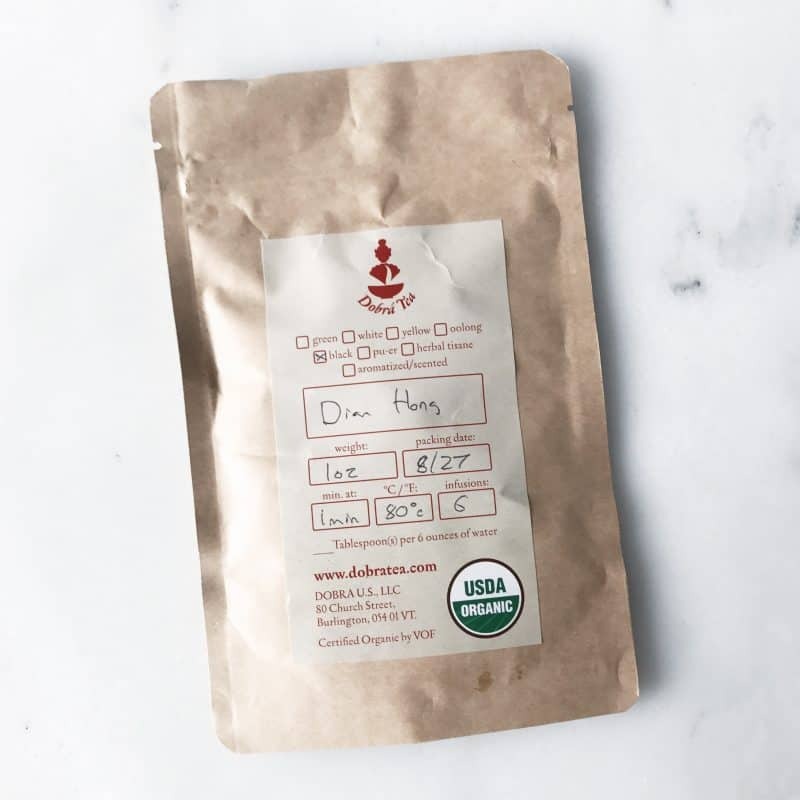 If you read my Vermont post, you know that I fell in love with a tea store called Dobra Tea. I asked one of the employees for a black tea recommendation because I’m always on the hunt for new ones to try. He said that his favorite was one called Dian Hong, which is basically a black tea with hints of honey (I’m probably oversimplifying that description). He also told me that it can be resteeped about 6 times which I haven’t been doing at all with any of my teas. I had heard most can be resteeped but always just throw away the leaves. It was a good choice, but my favorite is still Lapsang Souchong with its delicious fire and smoke taste. I’m also now resteeping my teas which has been amazing and will make them last FOREVER. 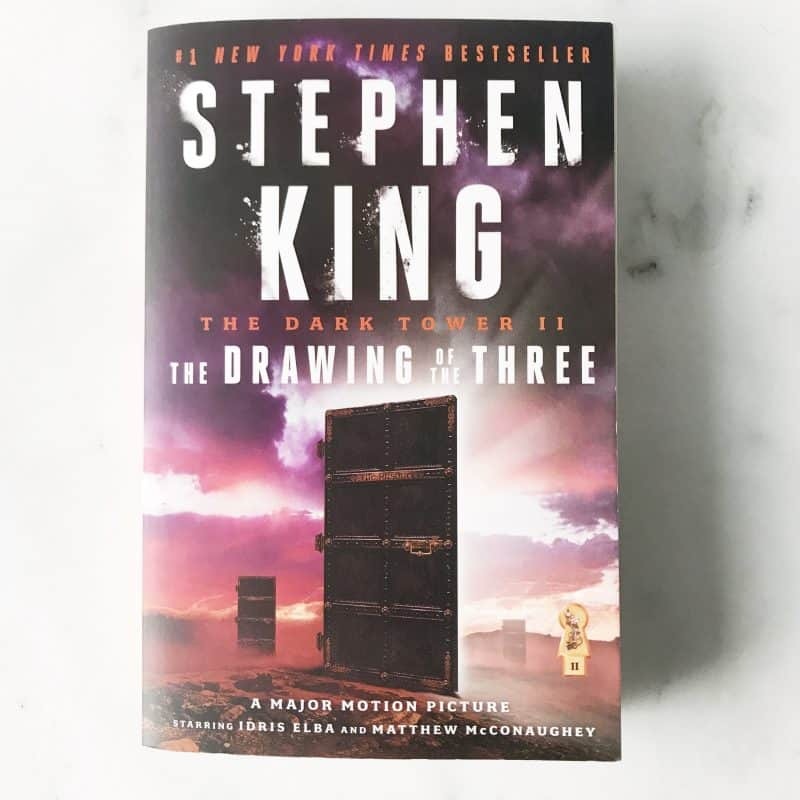 You may remember that I started reading the Dark Tower series by Stephen King a couple weeks ago and finally finished up the first book when I was on vacation. I spent a ridiculous amount on the second because I needed a book for the way home and couldn’t find it used anywhere in the three stores we went to in VT.
With all the flight delays on the way back I managed to get through 300 pages and finished it up on Wednesday. This one is much better than the first in my opinion and I ordered all the rest of them from Amazon when I got home for the same price of the first two in actual bookstores. HA. 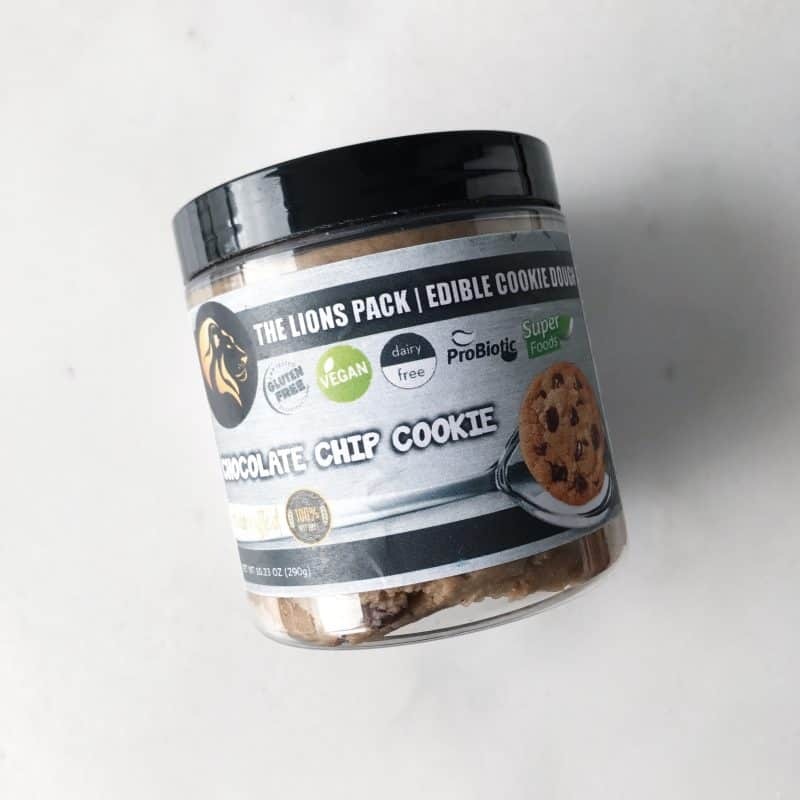 A friend of mine introduced me to this brand of edible cookie dough (and tons of other products) this week and I’ve been slowly working on this chocolate chip flavor. They are GF and vegan and are a slightly healthier choice than making a giant bowl of regular cookie dough and going to town (although that will still always be my favorite). To read more about the brand and see the other products they offer, you can head to their website here. Donut started doing something new this week and that’s curling up in a ball under the bed. I couldn’t find her the other morning until I looked under the bed and saw her all curled up. Someone sent me a message on Instagram that they know other Australian Cattle dogs who do this, and I think it’s adorable. Fun fact: I used to spend a lot of time under my bed as a kid reading and hanging out in my own personal cave with flashlights so I think she may be my spirit animal. Don’t forget! If you’re in Chicago and want free donuts and coffee (and to meet this little nugget), stop by Stan’s in Lakeview this Sunday from 12-2 for Donuts with Donut. More details can be found here. This week wrapped up teaching my final corporate fitness classes. While I will miss everyone I grew to know over the past year + , I’m excited to jump into this new chapter and build both my training and this blog. As of today I’m completely self-employed! Woo! I hope you have a wonderful weekend and a great holiday if you have off. Happy Friday! I’ve never heard of dian hong tea! It sounds really nice, and I’m always up to trying new teas! I’ve been dying to try Lion’s Pack! I saw them on IG and immediately drooled. I can’t wait for the IT movie to come out! Ooh I’ve heard of the Lion’s Pack! And I LOVE how it just shows God’s glory by creating so many different herbs and such to make different kinds of tea. It seems like there are endless combinations. I’m with you on a mutual love for tea. Donuts with Donut sounds adorable, and if you ever feel like making this a traveling event and hitting up DC, I would not object. Plus, I know where some great donuts are. 😉 And everyone loves dogs here! I’m so envious of your self employment! Congratulations & im sure it took a ton of hard work. Love the picture of you by the river (is that the river?!)! Yup it’s the river – and thank you! Donut is so cute 🙂 He seems pretty content in his new hiding spot! Congrats on being fully self-employed!Happy September. Congrats on starting this new chapter!!! Donut’s hiding spot is so cute lol. 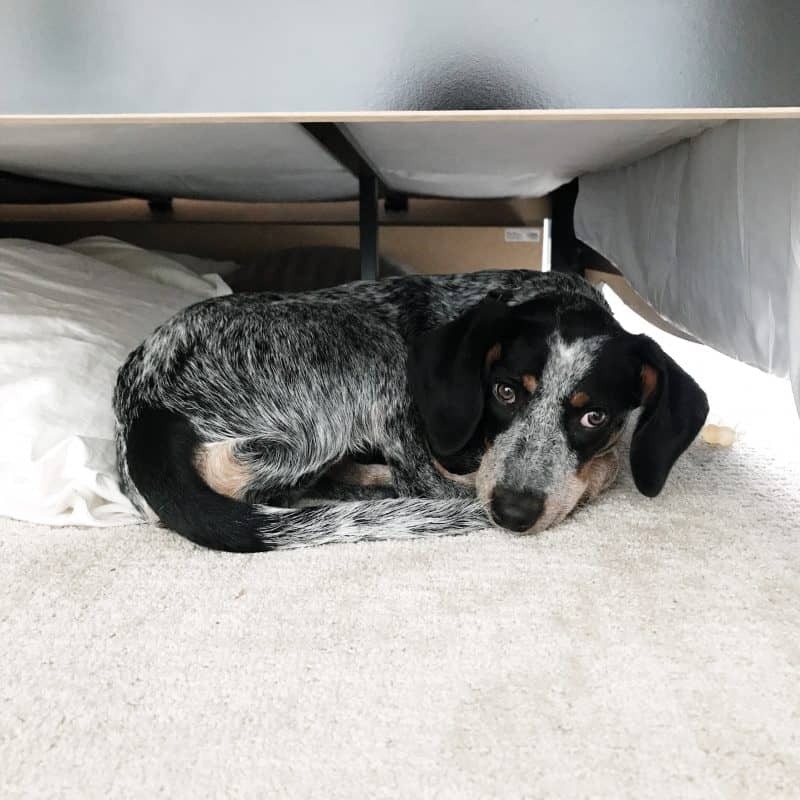 When my dog was a puppy, if she did something naughty (like peeing in the middle of the room) she would always scurry under the bed and hide there hehe.